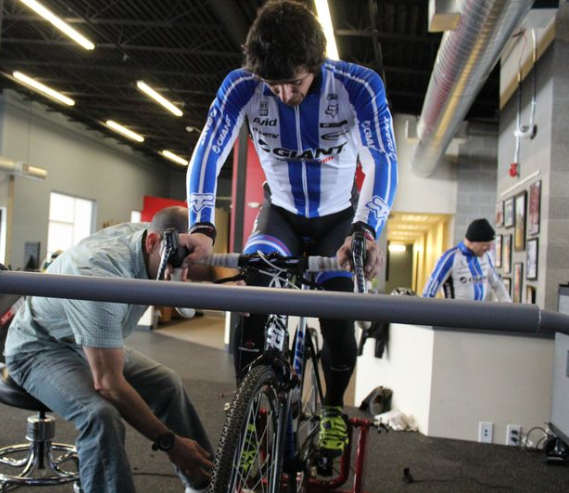 Road vs. Cyclocross Bike Fit: what’s the difference? A lot of hype concerning the difference between fitting a road bike and a cyclocross bike could be cleared up if we all agree on two simple things: put the engine in the right place, and then adjust for handling and comfort. Let’s break this down. Your pedals are driven by large muscles surrounding the trunk, hips and knees. In fact, about 98.8% of the force you deliver to the pedals comes from your hips and knees. That’s right, the ankle only produces a very small percentage of your total power. So it makes sense to have the saddle height and setback (also called for-aft position) the same between your road and cross bikes to maximize power production. Why would you select a saddle position that compromises power output? Keep it simple. If you like your current saddle placement on your road bike, there is zero reason to change it on your ‘cross bike. Okay, now here’s where things are a bit different. Instead of rolling your slick tire down fresh asphalt, you’ve got to contend with dusty pumice, wet grass, rocks, roots, and the nutrient ‘crossers crave: mud! In short, it’s critical to have a good handling front end. This means that you want to have a little less weight on the front so that you can lift your front end over obstacles easier. Careful though, too little weight on the front end will bring your torso too upright make it hard for your front tire to bite and send you skittering wide towards the outside of the turn. Let’s see how this all plays out in fit. ‘Cross bikes typically have a higher bottom bracket. If you were smart, you’d kept your saddle in the same place as your (properly fitted) road bike. This means that your saddle is higher in the air than your road bike. Since your saddle is higher, your handlebars also need to be higher. Hand-grip placement for optimal handling: A lot of people rarely use their drops on their road bike. Then when on the ‘cross course, they find that they are forced into the drops on steep downhills to brake and get a better grip on the front end. Most riders find the bike is much more stable when conditions get squirrely if they use the drops. So if you are going to be in the drops, make sure you are comfortable. So what’s the secret recipe to make sense of it all? It’s simple really; the goal is to get the bars a bit “closer” to you. And you can do this in three different ways. You can run a shorter stem to move the bars closer, you can run your bars higher (by putting a few spacers under the stem or by using a stem with more rise), or a combination of both. I typically recommend that riders start by raising their bars first (because this usually only means moving spacers or flipping a stem). Setting up the bars with some combination of “up and back” will allow you comfortable access to the drops for good grip and handling, and while still allowing you to have optimal engine placement so you don’t lose any precious watts. Powerful, sketchy, and somewhat comfortable. Yeap; sounds just like ‘cross racing! This entry was posted in cycling, rehab, triathlon, Uncategorized and tagged Anatomy for Runners, bike fit, cycling, cyclocross, Dicharry, jay dicharry, REP Lab, REP Tri Camp, Running injury barefoot minimalist, shin splints, UVA Running Medicine, UVA SPEED Clinic on October 18, 2013 by an athlete's body. I work with many athletes – and to be honest, I get just as much personal satisfaction seeing a person complete their first 10K as I do helping an elite earn a spot on the podium. I’m always humbled and honored when athletes seek out my help, and even more humbled when they put out some nice footage such like this as a way of saying thanks. I’m really just trying to do my job! Well, professional triathlete Linsey Corbin is also trying to do her job with a stellar performance in Kona 2 weeks from today. Check out Day 2 on linseylucky13.com to learn what Linsey and I have been working on together. This entry was posted in cycling, rehab, running, triathlon and tagged Anatomy for Runners, bike fit, Dicharry, gait analysis, injury, jay dicharry, linsey Corbin, Linsey lucky 13, linseylucky13, physical therapist, rebound physical therapy, REP Lab, run like an athlete, running form, Running injury barefoot minimalist, triathlon, triathlon running, UVA Running Medicine, UVA SPEED Clinic on September 28, 2013 by an athlete's body. Circles vs. Squares: What’s the best shape for a powerful cyclist? If there was ever a good topic for an episode of Mythbusters, it would be this: should you pedal circles or pedal squares? We’ve been told that “pedaling circles” is important so that we can apply a smooth even pedal stroke. And word on the street is that this uniform application of power around the cranks is more efficient and makes a better rider. We’ll lets mock up our own episode of Mythbusters. Let’s pretend that you are doing your thesis on power production in cycling (I did). And let’s also pretend that you are trying to get good data on good cyclists (this was my goal). In my research, I tapped into the best client database I could think of (the US Olympic Training Center). And lastly, let’s pretend that you could examine the pedal cycle of the entire national team, and developmental athletes (I could). What would you find? We’ll, this episode of Mythbusters would be pretty clear. World championship and Olympic medals have been won by riders who feature a smooth pedal cycle (circles) as well as cyclists who are mashers (squares). Uh oh. Don’t’ you hate it when real world data flies in the face of what you’ve been told. So where does this leave you? Its not to say that pedaling style is not important, because it is. In fact, research shows that elite cyclists have better pedaling mechanics than both recreationally competitive cyclists, and even elite triathletes. So if its not the “shape” of the application of power, what does better pedaling mean? Better cyclists have lots and lots of practice turning the pedals over. All this “practice” helps them produce the right amount of force from each muscle, without fighting, or co-contracting muscles during the pedaling cycle. They ride smoother and don’t fight their own pedal stroke. They also can change their pedaling cycle easily when they fatigue, in breaks, or up climbs. Having lots of “strategies” to tap into help as them adapt to the race conditions and terrain they are facing. ▪ If you are a rider that has had success mashing your way along at 75 rpm, it doesn’t mean that you must learn to spin at 110 rpm just because someone else does. ▪ Pedaling technique is a variable that better cyclists adjust based on terrain, fatigue, and surface. It is still worthwhile to learn proper pedaling strategies. If you do want to improve your spin, the most beneficial cues are to “scrape mud” off the bottom of your shoe at the bottom of the stroke, and to “kick a ball” at the top of the pedal stroke. ▪ Traction matters. In general mountain bikers have a smoother pedal stroke to maintain traction. If they put all their power around a small part of the pedal cycle their tires spin out. 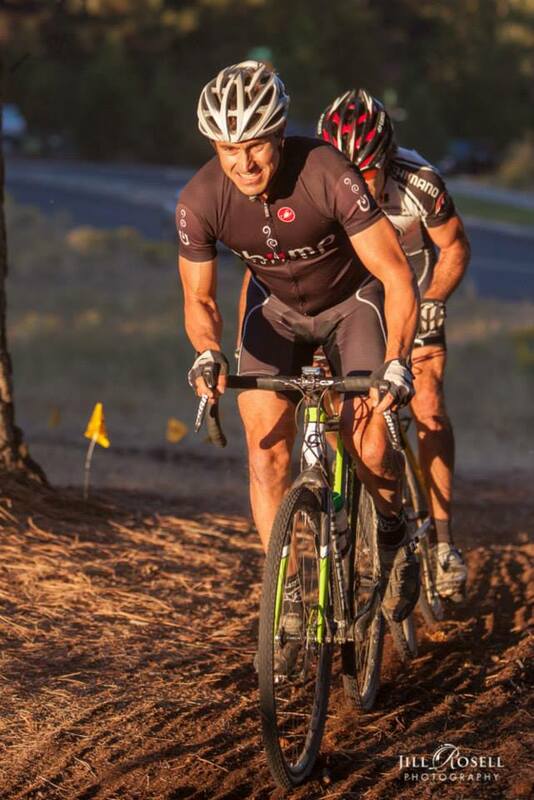 If you spend time on dirt, emphasize smooth power to keep your tires hooking up – especially on the climbs. ▪ Better cyclists don’t necessarily pedal circles or squares. They just pedal better circles and better squares – stop reading and go for a ride! This entry was posted in cycling, rehab, triathlon and tagged Anatomy for Runners, bike fit, cycling, Dicharry, pedal stroke, pedaling circles, rebound physical therapy, run like an athlete, swimming, triathlon, UVA Running Medicine, UVA SPEED Clinic on September 24, 2013 by an athlete's body. The Tipping Point: how does aerodynamics impact cycling? Cycling is a balance act – you want to produce as much power as possible to make your bike move forward, while maintaining comfort, aerodynamics, handling, and safety. 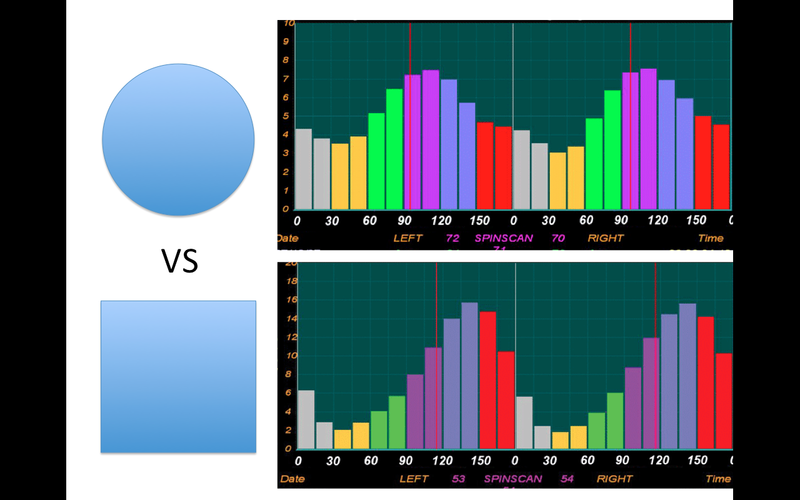 But quite often, we loose sight of the big picture in search of the “fastest looking position.” The most common question I get from time trialists and triathletes is, “Can you make me more aero?” Let’s tackle this issue head on using an example, and some science. Several years ago, I did a fit on a medical resident; we’ll call him Bill. He was three years into his cycling career and was doing quite well at the district and state level. He came and saw me for a bike fit on his time trial bike. His goals were to podium at state and place top 10 at nationals, and also to eliminate his low back pain on the bike. I’ll spare you the details, but after his fitting, his back pain was 100% gone, he won state, and placed 4th at nationals in the 40K time trial. The next year, he stood on the podium at nationals. Bill was very happy. Right after nationals, Bill graduated and began making more income and sought out the advice of a wind tunnel to squeak out a performance advantage. 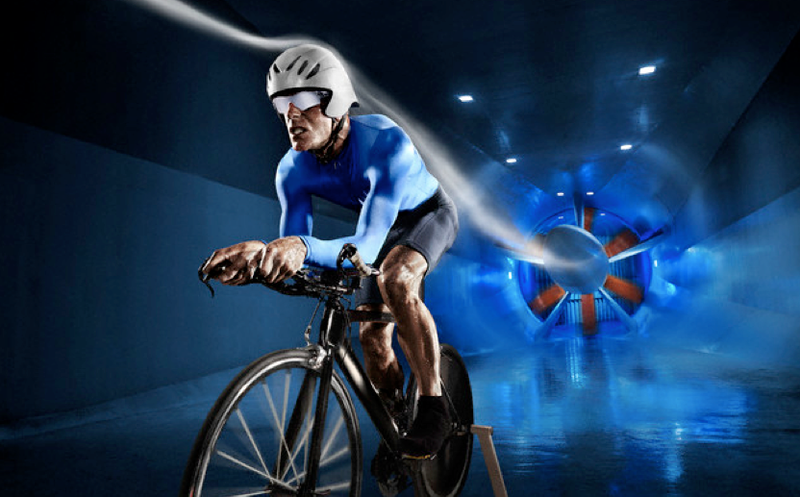 The folks in the wind tunnel were able to produce a 28% improvement in his drag coefficiency. This is a very, very large improvement in aerodynamics! Bill left and was excited to see how this new position would play out over the season. Well, things didn’t play out so well. Bill called after several months of riding in his new position. His back pain returned. He hadn’t made the podium in a single time trial all season. And he wasn’t able to hit the same power output on his new time trial position that he could easily hit on his road bike. Guess what we did? We adjusted his fit exactly back to where it was when we last worked together. Bill made the podium in his next race, and the next, and the next, and won nationals. Bill was happy again. The chief obstacle you have below 11 mph is the rolling resistance of your tires. At slow speeds, nothing matters more than tires and pressure. When your average speed is above 25 mph we should begin to have talks on aerodynamics, and when your average speed is above 27 mph we really need to address aerodynamics. But for most riders, you’ll gain more speed by producing more power over your entire race distance rather than aiming to adopt a sleek, aerodynamic position. Comfort matters. For most competitive cyclists, it’s likely you’re signing up events that 40K or longer. Those of you doing Ironman distance events are spending 5+ hours on the bike. Don’t try to replicate the overly aggressive position of a Tour de France time trailer (whose TT is quite short) just because you think it looks cool. You’ll end up so uncomfortable in your aerobars that you won’t be able to stay in them for long. Power comes from your hips, not your knees. If I told you that you had a muscle in your body that had the best leverage of any other muscle, and was more resistant to fatigue, wouldn’t you want to tap into that muscle? You do have that muscle; it’s called your gluteus maximus. Strong quads are nice, but a proper position on the bike optimizes your glut to drive the pedals. This entry was posted in cycling, rehab, triathlon and tagged aerodynamic cycling, Anatomy for Runners, bike fit, Dicharry, endurance, gait analysis, physical therapist, rebound physical therapy, REP Biomechanics Lab, technique, time trial position, UVA Running Medicine on September 24, 2013 by an athlete's body. Cyclists want two very simple things. They want to be comfortable on their bike, and they want to be fast. And anytime we “want” something, we must ask the question – how hard must I work to achieve it? Or in this golden age of cycling, a lot of cyclists ask a different question – can I buy more speed? Well, let’s stop asking questions, and start producing some answers. As a physical therapist, I can tell you that cycling takes its toll on the body. You do a fairly limited range of motion over and over and over again for thousands of miles a year. If things are lined up properly on the bike, and you are careful and follow a smart training program, you’ll maximize efficiency and prevent injury. When things are “off”, we wind up with imbalances that manifest themselves as injury. Injury is a whole other topic for a latter time. The other problem we wind up with is poor efficiency. 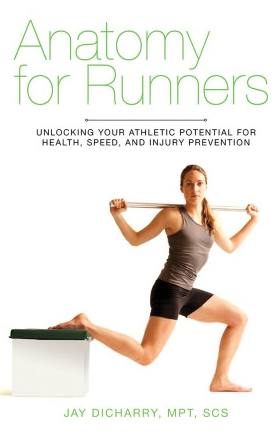 Proper knowledge and equipment go a long way towards accomplishing a goal of optimal fit. You can see that the old adage holds true – there is no substitute for training. Period. Got it? Yes – you have to ride you bike. And you have to ride smart. Lots of base, properly periodized training plan, intervals, and a good taper all add up to good performance on race day. Aside from training, this article offers some interesting findings on where we should concentrate our efforts. Bike fit is key. It’s free speed. 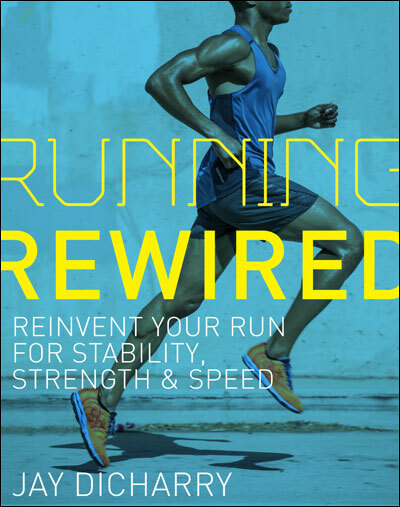 Faster with less effort and more biomechanically sound. It’s a win-win all around for the time and money you’ll invest and performance gained. Also – it’s a benefit that is there every time you get on your bike. You are always reaping the benefits of training in the most optimum position. It is very different then spending 1200 dollars on a pair of wheels you only get the benefit from 5 or 6 days a year. At the REP Lab, we use a whole lot of technology, knowledge, first hand trial and error, experience, and common sense to achieve the most optimum fit for you – not a formula out of a book. A solid bike fit gets you a whole lot closer to achieving your optimum performance now. This entry was posted in cycling, rehab, triathlon and tagged adam craig, Anatomy for Runners, bike fit, bike fitting, carl decker, Dicharry, giant cycling team, rebound physical therapy, REP Lab, triathlon, UVA Running Medicine, UVA SPEED Clinic, weight lifting on August 9, 2013 by an athlete's body.